ARID Journal is pleased to announce our participation in the EMERGE: 2017 Benefit Art Auction held online from April 25 – May 9, 2017 and in partnership with with Paddle8 and deasy/penner&partners. This inaugural auction is organized by the Pasadena Arts Council (PAC). 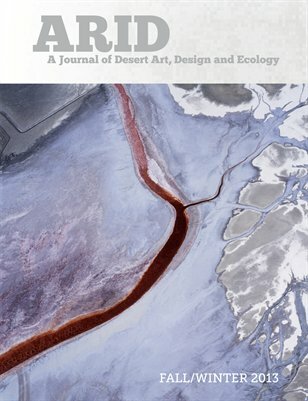 As one of PAC’s EMERGE fiscally sponsored programs ARID Journal will directly benefit from auction proceeds, which we plan to use for our site re-launch in 2018. This auction differs from others in that our participating artists may receive up to 30% of the final hammer sale price with PAC and ARID splitting the remaining balance. Several previously published ARID artists including Sant Khalsa, Paul Turounet, Cynthia Hooper, Brian Rosa and Marina Zurkow have graciously donated original works for your consideration. Altogether over 50 works representing a variety of important arts collectives and organizations will be available for bidding. We do hope you will consider participating in this event. To peruse our fifth issue, click here.